We’ve put this simple guide together to walk you through the basics of setting up your own Fullscript Dispensary. It’s easy and should only take a few minutes. You can also watch an in-depth walkthrough here. Personalize your patient landing page with your logo and customize your unique welcome URL to share with patients! Sharing your welcome link through Newsletters or your website lets patients create their own account and place orders through your dispensary at their convenience. Choose from one of eight backgrounds for your patient landing page. Upload a logo to display to patients when they sign into your dispensary! When you are happy with the result, click “done editing” at the top right of your screen. If you haven’t uploaded your certification, select the Certification Required banner at the top of your page or go to your dispensary settings (US|CAN). There, you can upload a copy of your certification in an acceptable format (JPG, PNG, PDF, GIF, or TIFF). Orders cannot be placed through your dispensary until we have reviewed and approved your certification. This step is only for practitioners who choose to make a profit on their supplement sales. By default, your dispensary will be a no-profit account. Enter the information in the form which appears below. This information is required to receive payouts. 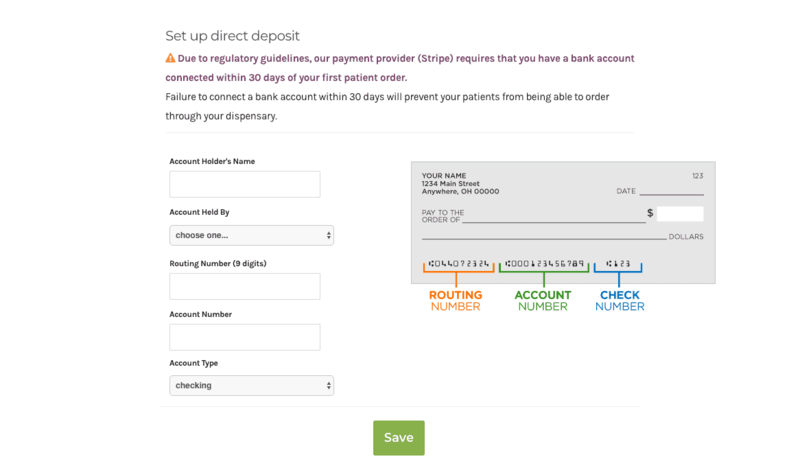 You can select your profit margin and dispensary-wide patient discount percentage in the section directly below where you entered your banking information. Determine what you’d like your patients to access by accessing the catalog and clicking on ‘Patient Visibility’ in the top right corner. You can make categories for specific conditions and add favorite products to them to make it easier for patients who self-serve. 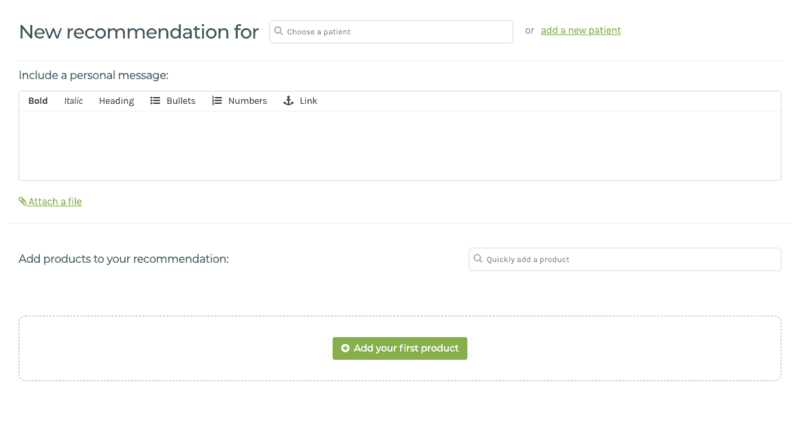 You can add patients manually when sending recommendations or upload your entire list with a csv file to have them ready to go when you need them! Choose an existing patient, or add a new patient. You can also include a personal message or attach files (optional). Go ahead and start adding products to the recommendation/prescription. Once you’ve configured the recommendation/prescription, you can choose to ‘Send to Patient’ so they can place the order on their own time. 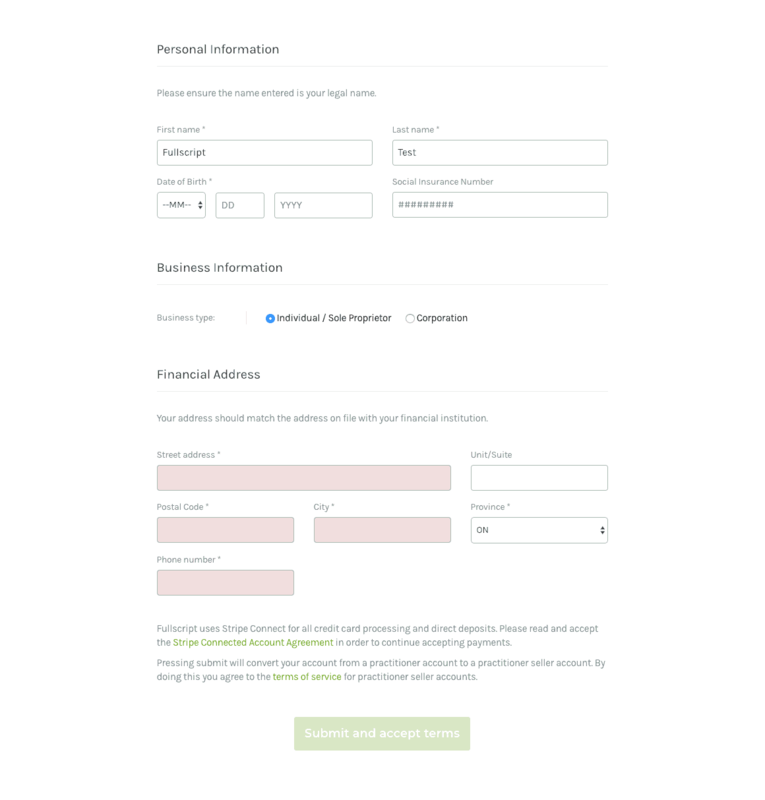 Alternatively, you can select ‘Send and Place Order’ to complete the order on your patient’s behalf, while still sharing the details of their recommendation/prescription with them. That's it! You're ready to start using Fullscript. Subscribe to the Fullscript newsletter! © Fullscript 2018. All Rights Reserved.